Mayors from Canada and the United States have called again for immediate action to fight the threat of Asian carp in the Great Lakes waterways. 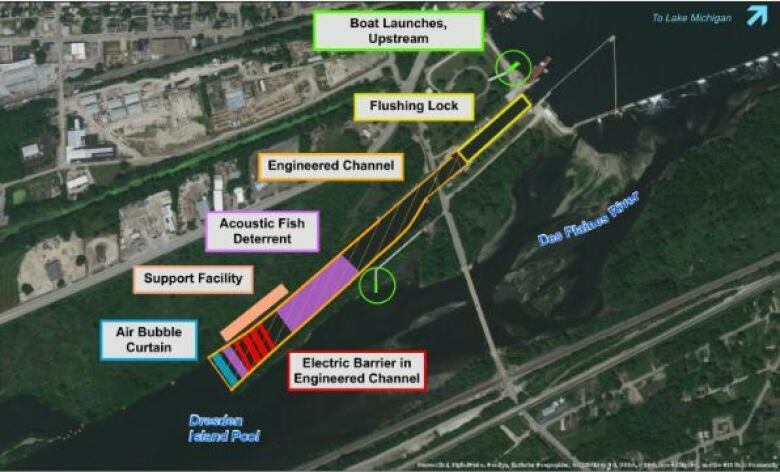 The Great Lakes and St. Lawrence Cities Initiative (GLSLCI) submitted comments to the United States Army Corps of Engineers asking for waterway barrier plans to be sped up. The letter from the initiative, submitted Feb. 22, was specifically about the Brandon Road Lock and Dam in the Chicago area. A report released in 2014 identified creating a barrier in this area as crucial to stopping Asian carp from entering the Great Lakes systems. The corps issued a feasibility study in 2017 that lists six options for preventing the fish from moving upstream, but nothing has been implemented. Dickert said the mayors recognize it would be a $7-billion-a-year loss if the Asian carp were to get into the Great Lakes. Chatham-Kent Mayor Darren Canniff called Asian carp the “most significant threat to the health of the Great Lakes. According to Dickert, things the corps have discussed include electrical fences and underwater barriers, but the initiative wants the corps to look at other alternatives. Every year or two, said Dickert, more potential solutions come up — and every possibility for stopping Asian carp should be considered. “If you’ve got a virus remedy … we’ve heard of a gene that makes fish sterile or eradicating them through chemical useage … whatever the case is, that should be on the table,” said Dickert. The United Nations Environment organization in Iraq finished an investigation into the death of millions of farmed carp in Iraq in 2018. The conclusion was the Koi herpes virus caused a widespread cull of the carp. In Australia, research is underway to use a similar virus to tackle the invasion of European carp, which causes probelms in the Murray-Darlin Basin in Australia. “Current research has also shown that the virus does not develop in native Australian or any other introduced species of fish,” said study results, adding the virus kills Australian pest carps quickly. Members of the UN Environment team who studied the virus in Iraq said using this kind of virus was not a good idea. “My gut feeling is this is not good,” said Dr. Melba Reantaso, who studies aquaculture and fish health. Hassan Partow, conflict and disaster management program coordinator with UN Environment echoed that concern. “Precaution and scientific research is needed,” said Partow. Asian carp are some of the most robust fish in the waters. The GLSLCI is made up of more than 100 mayors from Canada and the United States, representing 17 million people who live around the Great Lakes. Dickert said it doesn’t matter how difficult it is to co-ordinate — they owe it to the next generation to take action. The initiative has put out letters to the governors of all eight states asking for support.